Which brings us to U.S. Patent application #20170240063. 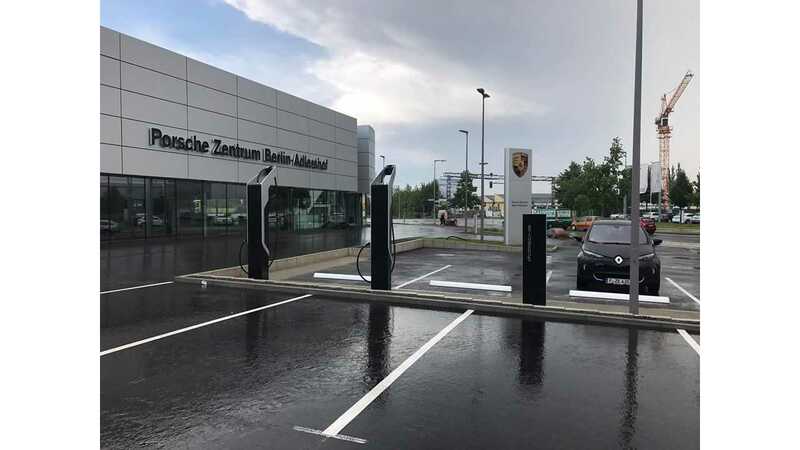 Filed February 8, 2017, and published today, the patent describes Porsche's vision for "supplying a number of electric charging stations with electricity," and high-power options at that. The idea is, "to optimize respective power factors of a number of charging stations for supplying a vehicle with electricity. ... In order to minimize power losses, there is provision for the at least one transformer to comprise at least one delta winding and at least one star winding that are energized uniformly, so that a control phase offset and, as a result, a reduction in harmonics occurs, which increases the power factor of a charging station supplied with power in this manner." 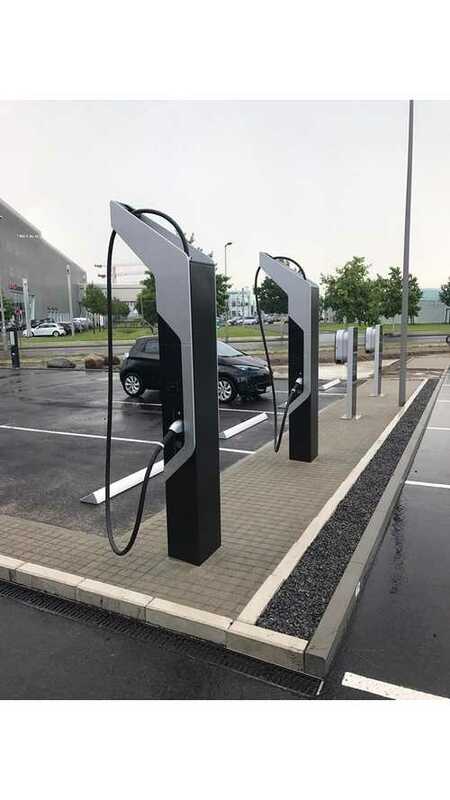 Of course, a 300-kW fast charge is well above the power that any EV on the market can handle today, but with this sort of forward planning, Porsche (and the other automakers involved in the push for the European network: Ford, BMW, Audi, and Daimler) is getting ready for the coming fleet of electric vehicles with massive batteries and short recharge times. The Mission E, for example, will reportedly be capable of recharging its ~95 kWh battery in about 15 minutes when it arrives in 2019. If you want to sell that, you're gonna need a network of fast chargers ready and waiting. Just ask Tesla.